A judge has ruled in favour of Bernie Ecclestone in his High Court battle with German media company Constantin Medien over the sale of Formula One. 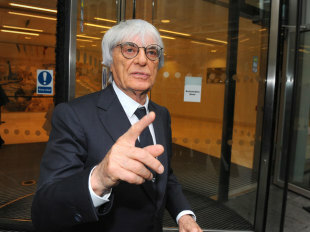 The case was brought against Ecclestone and three other defendants by Constantin Medien, which claimed shares in the sport were undervalued when they were sold in 2006. Constantin Medien had an agreement with German bank BayernLB entitling it to 10% of the bank's stake if the shares were sold above a certain threshold which was not reached. 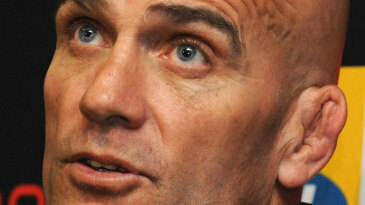 Constantin Medien made a claim for damages of up to $140 million, which Mr Justice Newey dismissed. Constantin Medien also claimed German banker Gerhard Gribkowsky, another of the defendants, had entered into a "corrupt agreement" with Ecclestone by accepting a $44 million payment. Ecclestone has always denied making a bribe, insisting the payment was made after he was "shaken down" by Gribkowsky, who Ecclestone says threatened to go to the UK tax authorities with allegations about the running of his offshore trust. In his written findings, Mr Justice Newey said: "The payments were a bribe. They were made because Mr Ecclestone had entered into a corrupt agreement with Dr Gribkowsky on May 2005 under which Dr Gribkowsky was to be rewarded for facilitating the sale of BLB's shares in the F1 Group to a buyer acceptable to Mr Ecclestone. "Mr Ecclestone's aim was to be rid of the banks. He was strongly averse to their involvement in the F1 Group and was keen that their shares should be transferred to someone more congenial to him." The judge added: "Even making allowances for the lapse of time and Mr Ecclestone's age, I am afraid that I find it impossible to regard him as a reliable or truthful witness." The lawyer representing the Ecclestone family trust Bambino Holdings Limited, one of the defendants in the case, was quoted by the Telegraph as saying: "Bambino Holdings Limited and its directors are delighted with the findings of Mr Justice Newey contained in his Judgment today in relation to the claims made against Bambino. The directors are all professional people with the very highest of reputations and it has been a very difficult time for all of them for the last 2 1/2 years with these allegations hanging over them. "They were pleased finally to have the opportunity during the course of this trial to meet head on the allegations made against them, and for the Judge to have completely exonerated them from any wrongdoing." In a separate case in Germany, Ecclestone faces charges of bribery relating to his payment to Gribkowsky. The trial is set to begin on April 24.